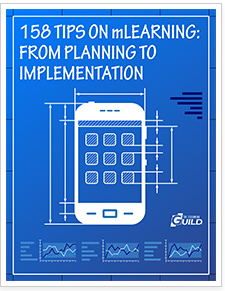 Last year, the big question was “Should we do mLearning?” This year, the question is “How should we do mLearning?” This eBook provides 158 tips to help you every step of the way. It seems like everything is changing in the mobile world: Smartphone and tablet adoption has skyrocketed, users have discovered unexpected ways of using their mobile devices, and many organizations have moved from thinking about mLearning to actual development and implementation. Guild eBook is focused around a specific theme. You'll find valuable information that you can immediately put to work in your organization. Download a FREE Guild eBook today! 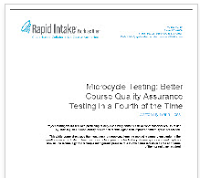 This white paper below discusses the most common problems learning project managers encounter in the quality assurance testing phase, introduces best practices for testing e-learning courses. Also explains how to use technology and a simple but rigorous process to achieve better results in about one fourth of the normal time required.Project managers tasked with producing quality e-learning courses can achieve superior results faster by coupling web-based quality assurance technologies with improved “micro-cycle” processes. Professionals. As a member-driven organization, the Guild produces conferences, online events, eBooks, research reports, and Learning Solutions Magazine—all devoted to the idea that the people who know the most about making eLearning successful are the people who produce eLearning every day in corporate, government, and academic settings. 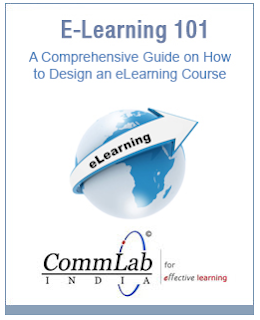 Ayesha Habeeb Omer, Ph.D, Chief Operating Officer, CommLab India writes, "Today eLearning course development has metamorphosed from simple page-turner type of courses to more complex interactive and engaging eLearning courses. So, to capitalize the potential of eLearning and implement eLearning in organizations, it is good to have a basic understanding of what eLearning is all about and how it is developed." A complimentary eBook titled, eLearning 101 - A Comprehensive Guide on How to Design an eLearning Course has been prepared to answer questions like these and provide a detailed overview of eLearning implementation in organizations. 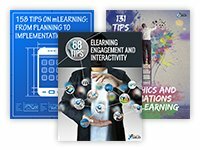 The book will be a handy guide to those who are planning to implement eLearning for the first time in their organizations or who are planning to scale up existing eLearning initiatives in their organizations. What is eLearning and what it is not? What are the various elements that are involved in eLearning implementation programs? How to develop an eLearning course? How important are audio and visual elements in eLearning? What are the essential factors that need to be considered when developing eLearning courses? What are the deployment options available to organizations today? Check this free Interactive Webinar out. Learn how experienced educators are successfully using iPads in the classroom. Without a doubt, iPads have quickly become one of the most popular technology purchases by schools. Earlier this year it was reported that apple has sold over 8 million iPads into education worldwide which includes 4.5 million within the U.S. It is anticipated that iPads (full size and mini combined) will become the majority of all device purchases this school year. Even with its benefits, many teachers and administrators feel challenged in making the best use of them. Should every student keep an iPad or should we do classroom sets? How do we keep students on task? Classroom management? How do find good apps? What should school and district administrators expect in the short term? In the long term? Join our Interactive Leadership Series and our expert panel will share how they selected devices. What is the Interactive Leadership Series? Interactive means participants guide the discussion. Our Interactive Leadership Series webinar maximizes focus on questions you submit and less on PowerPoint presentations by the panelists. Want to know how the College of Engineering and Applied Sciences at University of Cincinnati gave more than 500 high school students a head start in college STEM studies over the course of just one academic year? Interested in learning about the streaming video/flipped classroom strategy used to roll out high-quality college instruction to 12 high schools, including rural, urban and all-girls schools? Would you like to hear first-hand from a student who was on a non-STEM academic career path until she was exposed to engineering in high school? Here’s your chance to get answers to all of the above in a live webinar with Eugene Rutz, the academic director who spearheaded the program, and UC freshman Gretchen Kellerstrass, who pivoted her college and career plans after taking just one dual-enrollment engineering course. Meris Stansbury, Associate Editor writes, "Tablets target young learners with engaging software." In March 2013, EnCompass Academy procured 54 VINCI tablets that came pre-loaded with math programming mapped to the school’s existing curriculum. After 12 weeks, teachers reported observing significant changes in their young students’ behavior and learning habits, including a positive change and increase in students’ ability to focus, and offered anecdotal evidence that students understand their math lessons more easily. Teachers also said they were able to differentiate teaching and learning more.